The wedding invites are a small intro to your wedding celebration. By setting the tone, you can let your guests have a quick glimpse on what will follow. Keep in mind that picking the right design and details can be a tricky business. 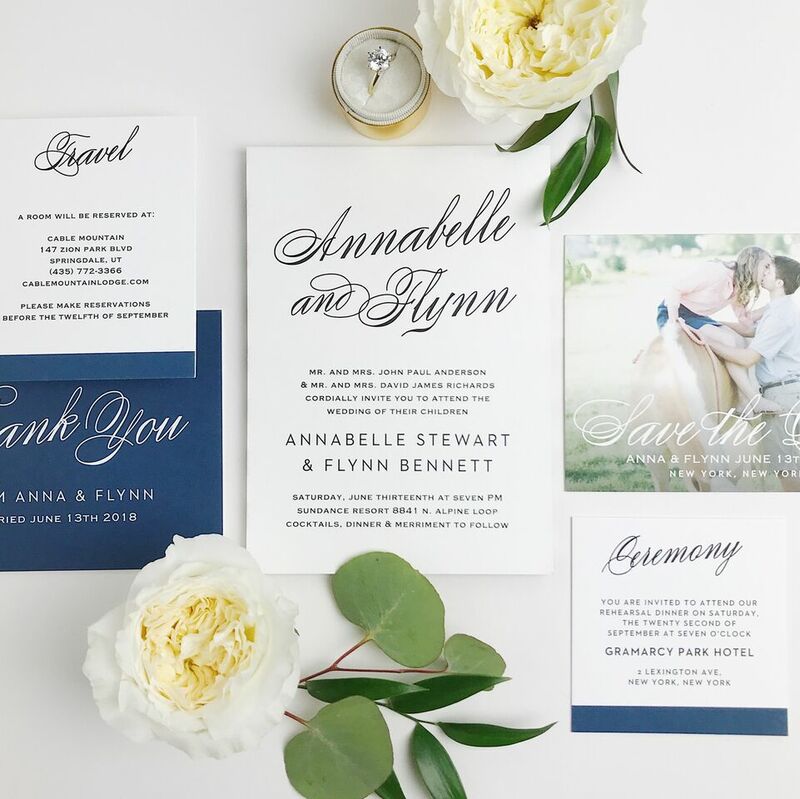 Read on and find out more on how to design stylish wedding invites! If you want to give your invitation a strong focus, then you can choose to implement a certain style. This style will be the base, and you can add elements that will match the fall. Always choose the style that best suits your wedding theme. This style is suitable for any type of wedding. It can go for formal and informal weddings too. 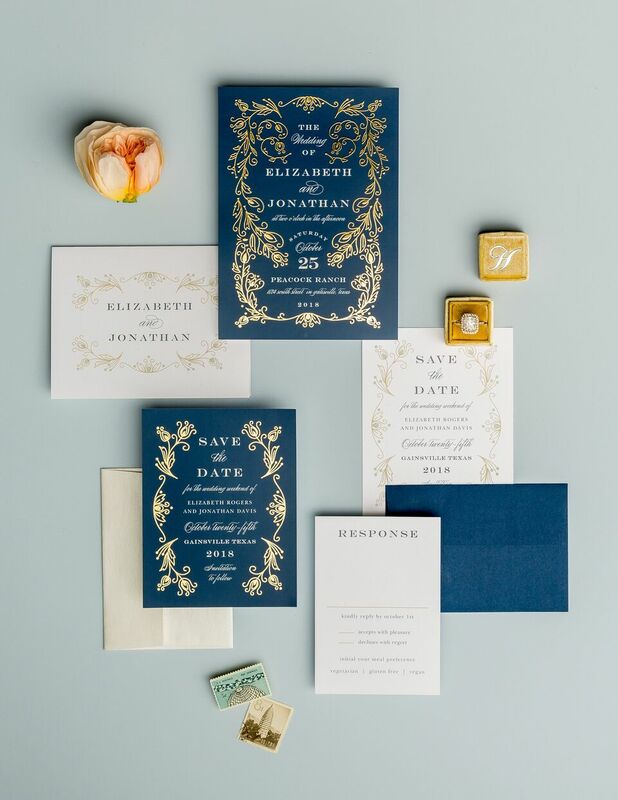 While being elegant and tasteful at the same time, it included floral details and script fonts. If you like your invite’s to suit the tastes of guests of all ages, then this is your to-go style. Tip: You don’t like the boring save the dates? Instead, you can go for custom wedding coasters that will look better. The best thing is that you can get personalized coasters that will match your wedding color scheme. The style that brings a stronger vibe to the traditional version. It is characterized with modern geometric designs, luxe details such as metallic foiling , and simple fonts. The best website for wedding invitations offers so many different designs that are modern and sleek. Once you have a certain design selected, you can change the color of each element on the card to over 180 different color options. When choosing the right font, have in mind that you need something classy and more formal. Do not experiment with fancy ones. 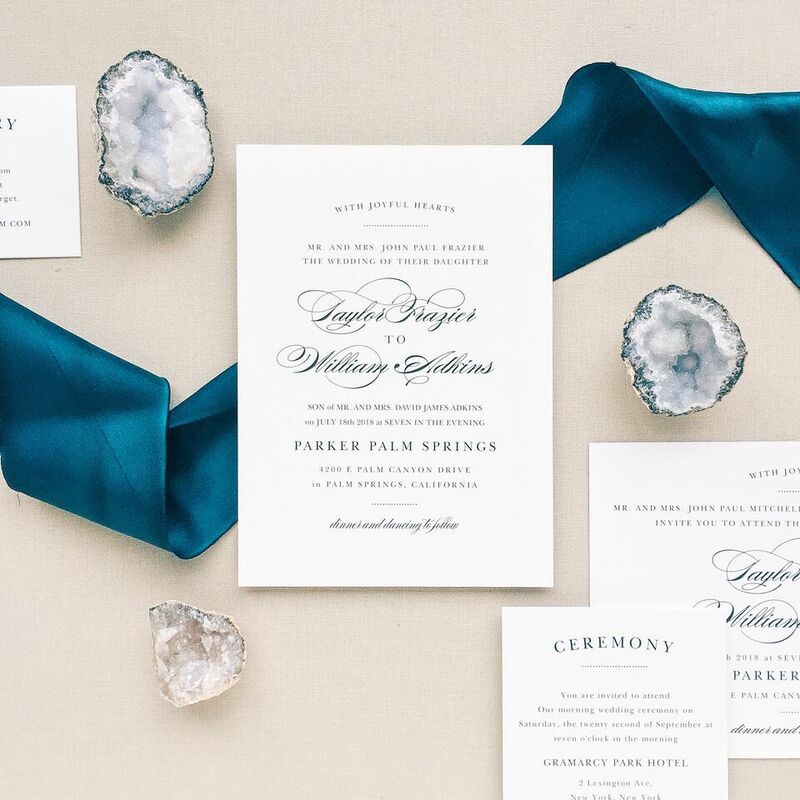 For example, grunge and distressed fonts can look too casual and make your invite look more like a leaflet. When making your final choice, consider that classic and elegant fonts are always the ideal choice. Consult your invite designer if you plan to do something different and “out of the box”. You will be provided with expert advice on how to do something different, but still keep the formal look of an invite. Tip: Always use “&” instead of “and” when writing the groom and bride’s names. It will look more decorative and elegant! When it comes to this question, both can work fine. However, a landscape can work better if you plan to have a lot of text. Cramming all of the text in a portrait invitation would not look good, so it is better to go for the first option. In all of the other cases you should pick the one that you like better. Keep in mind that central aligning of the text always works the best. When you already have the idea of what your wedding invites will look like, it is time to pick the suitable envelopes. Keep in mind that you should not match the size of the envelope to the invite. Allow a few millimeters extra, so that the invite will fit there perfectly.